Fast rising music artiste and one of Nigeria’s next rated act,indigenous Rapper and Singer “#Snuzzy” who never fails to thrill his fans with thunderous punchlines and awesome Hook. 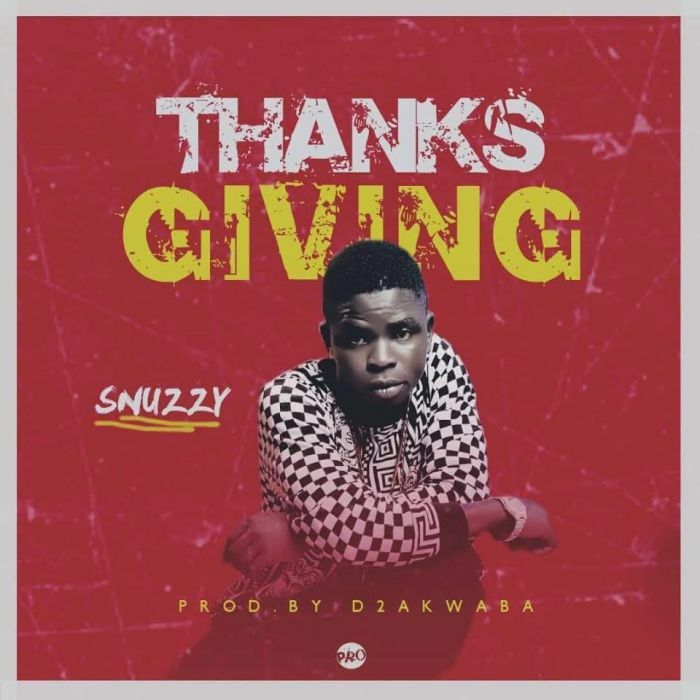 After his last release which was titled “Glory” featuring “Maxi” of the “Bornsick Music” that swept the fans off their feet, here he comes again with another dope tune tune titled “Thanksgiving“. This tune was produced by AkwabaBeatz.